Xia Lin is a third-rate actress who is diagnosed with leukemia. To receive a bone marrow transplant as soon as possible and continue her career as an actress, she signs a secret marriage contract with Lin Yizhou, the president of Ling Group. Exactly … These kinda dramas are very entertaining and mateor garden was also so good if looking into historical ones than oh my emperor and legend of yunxi …. I love the lead guy he’s so handsome!! Anyway by episode 2 she has recovered from leukaemia thanks to his donation of bone marrow. Can i know where u watch? Where did you watch it ? 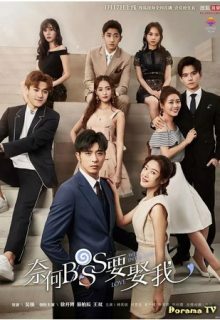 This drama is really good, the only problem is the subtitles, some is not correct. Please check that so it will not affect the ratings. It can have more viewers when you will fix the subtitle. please update the next episode. Well intended love is already finish, the episode till 20 only and until now dramacool is not uploading the rest of the episode. Pls can u upload full episode english subtitle.. So hard to find in youtube.. I really love this drama..
My first time to watch Cdrama. I love it! – Xu Kai Cheng perfectly play the role as President Ling and the lead lady as well. problem is- so hard to find English sub in YouTube. Episode 16 and 20 need new translations/subtitiles. Episode 19 has no sound. Please fix. Yeah…..I am also very much excited ,intended to watch this drama ……plz sub those raw ones too….you are the best dramacool💕💕💕💕 go.go.go..